When seniors and children or young adults are given the opportunity to interact, the results can be amazingly beneficial for all. For seniors, intergenerational activities can allow them to view things from a whole new perspective, and experience things that they may not have otherwise. While children have the chance to receive knowledge and wisdom to help shape their education as they grow. And on top of this, there are tangible mental and physical health benefits for seniors as well. Intergenerational activities can benefit seniors' mental and physical health. In many instances, mental benefits will be the most direct, noticeable effect of intergenerational activities. According to Generations United, those who took part in volunteer activities and games with children and young adults were less prone to accidents and falls, and also burned 20 percent more calories per week, on average, than those who declined to participate. Further research by GU found that both the fine and gross motor skills - i.e., delicate and simple movements and related coordination - would benefit considerably. Studies have shown tangible improvements in memory care tests taken by seniors after engaging in these activities for a substantial period of time. This may be particularly likely in exercises with a problem-solving or intellectual component of some sort, since they function as workout regimens for the brain. Every generation can find fulfillment by engaging in intergenerational activities. For any cooperative effort to be truly positive for all involved, it must offer mutual benefits, and that's certainly true of intergenerational activities. 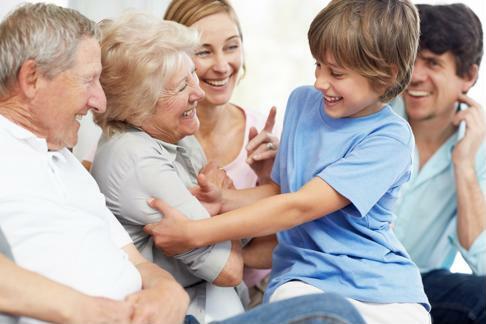 Generations United noted that the problem-solving, communication and social skills of children who participated in activities with seniors are frequently higher than those who didn't, and they are more likely to have a better general perspective on community relations. Additionally, kids at schools that had intergenerational programs would score better on reading assessments. Discipline is positively affected as well. Students involved in these initiatives were 52 percent less likely to have truancy issues, 46 percent less prone to abusing illegal drugs and 27 percent less likely to struggle with underage drinking. Intergenerational programs may even help foster an interest in eventually pursuing senior care careers. Rita Altman, senior vice president of Sunrise Senior Living's Memory Care & Program Services, addressed this in a piece for the Huffington Post. "By creating opportunities for children to connect with seniors, we could help fill the anticipated nursing and caregiver cap - simply because our kids will be groomed to grow a serving heart, making them more inclined to take on the rewarding work of caring for tomorrow's seniors. It's important that those planning programs for seniors and children avoid some potential stumbling blocks. According to the Intergenerational Activities Sourcebook crafted by Penn State University, elder care professionals should ensure that young people meet a diverse group of seniors and vice versa, to avoid reinforcing any stereotypes about either age group. For example, when younger kids are involved, they should be familiarized with tools they're likely to see seniors using, like wheelchairs, canes and other mobility aids or medical equipment. Also, the Sourcebook states that programs should cover a diverse range of topics. If all participants are encouraged to be open-minded and positive about the experience, everyone will have a great time and learn valuable lessons.